A person who gives his life to help another makes the greatest sacrifice possible. Arturo Cantu Elementary School is dedicated to the memory of such a person. 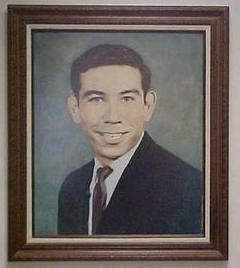 In 1969, twenty-year-old Arturo Cantu was a very promising and dedicated student teacher at Alton School, Mission, Texas. On April 26, he took his class for an outing at Anzalduas Park in Mission, Texas. Three of his young students were caught in the swift water below the dam. Without hesitation, Arturo jumped into the water to help. The girls were pulled to safety. Arturo Cantu drowned. It is appropriate that the Mission Consolidated Independent School District and the residents of Alton, Texas named this fine new elementary school in his memory. Arturo was the son of Mr. and Mrs. Antonio Cantu, who resided at six miles North and one-half miles west of Mission in the Alton area. "Greater love hath no man than this,That a man lay down his life for his friends."